This antique pattern traditional rajkot long gold mangalsutra consists of 2 pattas matching to gold pendant on each side. The gold pendant is lined on the inside with meenakari as displayed in the picture. 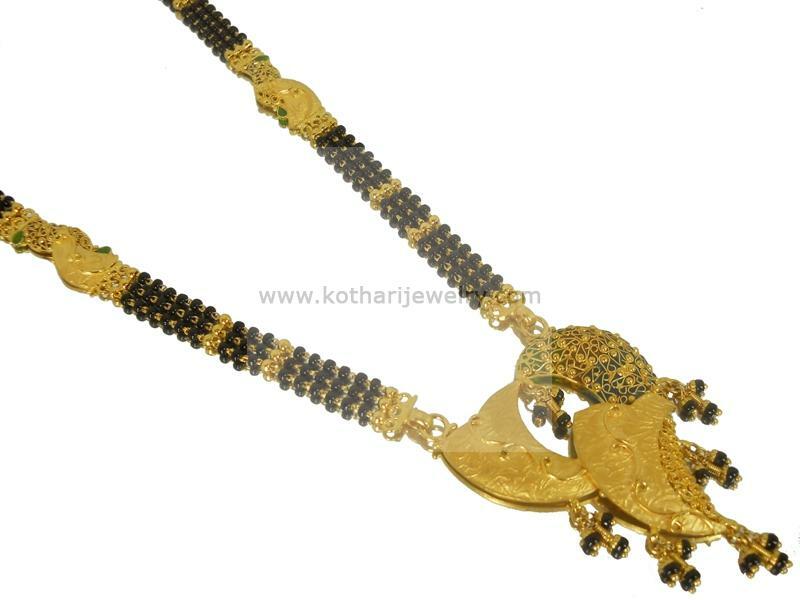 The gold mangalsutra is 916 BIS hallmarked for 22kt gold purity.